The Architect’s Newspaper (AN) has partnered with urbanNext—a multidisciplinary platform for design promoted by Actar Publishers—to share articles on common topics every two weeks. This week, we’re pairing the urbanNext article below with AN’s “NYC releases major climate change plan aligned with Paris Agreement.” This article was authored by José Luis Esteban Penelas. Constructing Dreams of Energy Welcome to a dream. Today’s metacities are formed by liquid and fluid mechanisms of energy. It is important to understand that the changes that occur due to their collective inhabitants make them capable of mutating at great speed. Cities that appear to be motionless generate a spatial multiplicity; they mirror the paradigm of production (Jean Baudrillard). Today’s cities arise as energy cities. 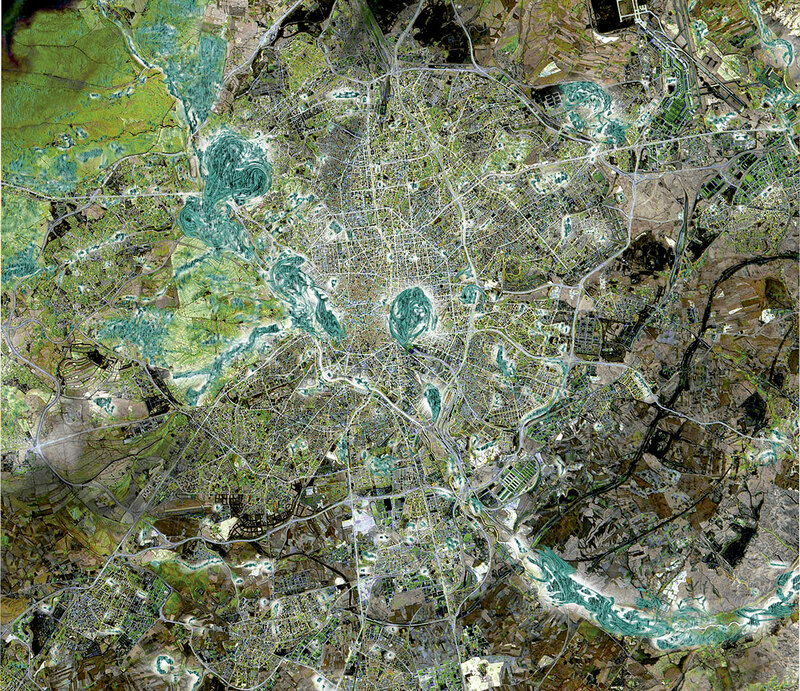 They are supercities of today’s post-industrial era of supermodernity (Daniel Bell). Madrid Zero Energy is an example for the twenty-first century. Our proposal is an open dream of the future, developing thoughts and projects, and building up from a human scale to a territorial scale; a zero energy dream where the protagonist is the human being, where the city of Madrid is an example of zero consumption and a healthy citizenry. Architecture and urbanism are shaped by a complexity of actions, and through these creative actions, subsequent thoughts emerge. They are also poetic. Today’s architecture changes at a vertiginous speed, and the way it has been understood for almost the past two thousand years is mutating. The concepts of velocity, spectacle, anonymity, limits, mobility, sustainability, health, and energy define the parameters of today’s globalized society. Madrid: Fresh Air, Zero Consumption, Healthy, Glo-cal Madrid Throughout its history, Madrid has been treasured for its fresh air—a great tradition which is currently being recovered through the actions of zero consumption. 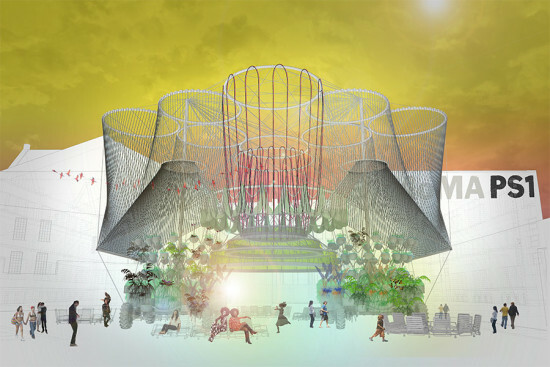 This concept is linked to the “commons” of the Seoul Biennale. We are generating a new Madrid Zero Energy. It is understood, in time and space, through communication, through urban and territorial infrastructure (highways, metro, trains, cycling lanes, buses, and green corridors) and through high-speed infrastructure (AVE, the supergeneration of new infrastructures, the real-time transmission of images through mobile phones), all of which are susceptible to being rethought, reanalyzed, and transformed. 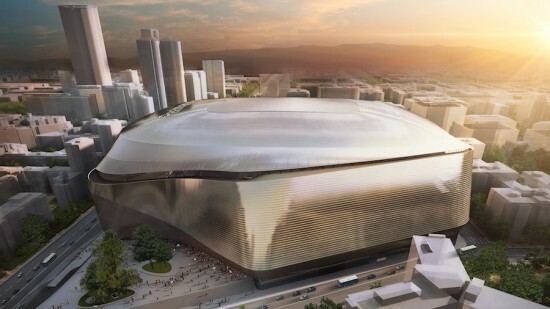 All of this is aimed toward zero consumption and interactive processes that branch and become interconnected: the city of Madrid.Madrid is a metacity. Its form is predictable and projectable through new computational energy—systems that make its real-time adaptation possible. The emerging needs of society’s communication are met through the strengthening of super-infrastructures.A rethinking and evolution of the city of Madrid will inevitably keep mutating toward other configurations that express new conditions of this territorial and glo-cal supercity: a city of six million inhabitants, a glo-cal insertion with a common, variable intercultural program that can be altered with the idiosyncrasies of each country, connectable to other cities in the global context. Computational Zero Energy Systems: Planning Madrid for the Twenty-First Century Presenting Madrid as a future global city, Madrid Zero Energy is the outcome of continuous research conducted for more than a decade on public urban space and regeneration, and it proposes an “advanced evolution” in urban thinking: “A new profile for twenty-first century cities in an era of super modernity.” The aim of this meta Madrid Zero Energy is to become self-sufficient by 2025, an estimation which, according to research conducted by the municipality, will be possible. 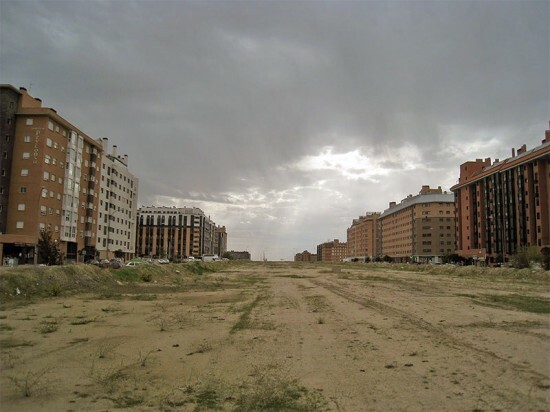 The dream is for Madrid to become a city of zero consumption, a new meta energy zero consumption city (“meta” from the Greek meaning “further” and “beyond”). From here we generate a computational intelligent energy system capable of real-life adaptation, based on the development of a fluid network. Five Energy Concepts DREAMadrid integrates five strong core concepts into generic public, urban, and metropolitan spaces as part of a global network of similar nodes, where citizens become aware of the environment’s performance: — Future (establishing design as a tool to produce a tangible future) — Environments and ecology (as constitutive parts of the future) — Enjoyment (as a productive tool oriented toward sustainability) — Zero consumption and health (Madrid to become a 100% healthy city) — Citizens’ participation in Madrid will count on citizens’ real-time participation DREAMadrid explores the limits of these mutable scenarios via a shared working methodology based on parallel and co-evolving strategies, and it develops urban strategies based on the growth of Madrid as an almost unique example of the development of a city based on Zero Energy. The vision is propelled by the municipality. Future Energy Our urban areas cannot continue to grow as they have done in the past. In this era of changing demographics and supermodernity (Marc Augé), diminishing resources, and climate change, new models for living are needed. In others words: How can we live in our unstable and fluctuating contemporary cities? DREAMadrid explores and presents new models for living in future cities at four scales (human, residential, urban, and territorial) based on health and zero consumption. DREAMadrid… dreaming the future energy. Curators: Jose Luis Esteban Penelas, James London Mills, Santiago Porras Alvarez, Daniel Valle Almagro, Maria Esteban Casanas. Participants & Affiliations: COAM Official Chamber of Architects of Madrid, Universidad Europea de Madrid, UEM, Ayuntamiento de Madrid (Municipality of Madrid), AIR LAB Architectural International Research Laboratory Design Institute, Grupo Tecma Red S.L., Carto. The Architect’s Newspaper is in Madrid for The Future is Now Forum, the inaugural event hosted by the Norman Foster Foundation. 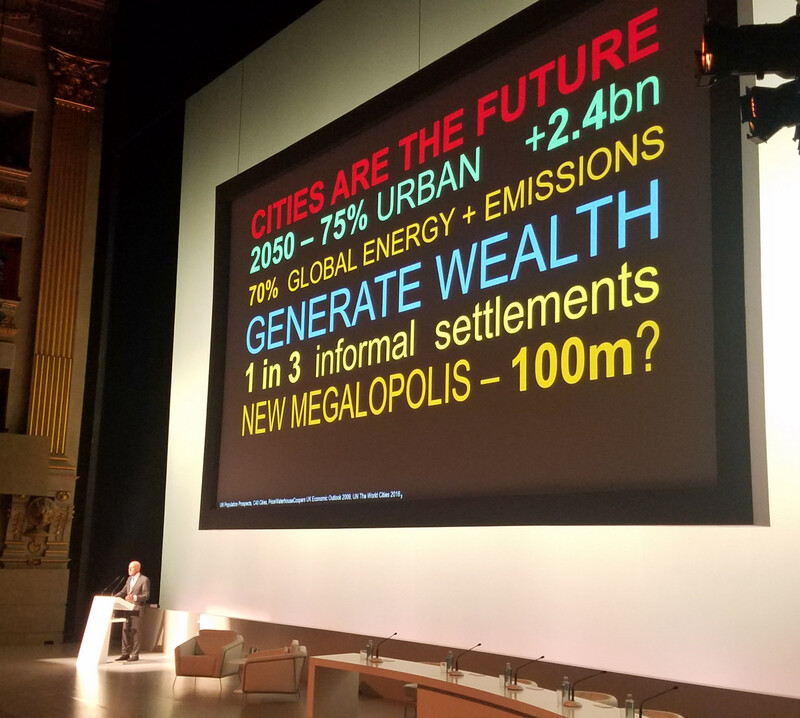 The Forum featured a remarkable list of figures from the design world and beyond, from Pritzker Prize–winning architect Alejandro Aravena to former New York City Mayor Michael Bloomberg and historian Niall Ferguson. Foster and numerous panelists were optimistic that design and technology could provide solutions for an ecologically and urbanistically challenged planet, though the path forward isn't without dangers and challenges. 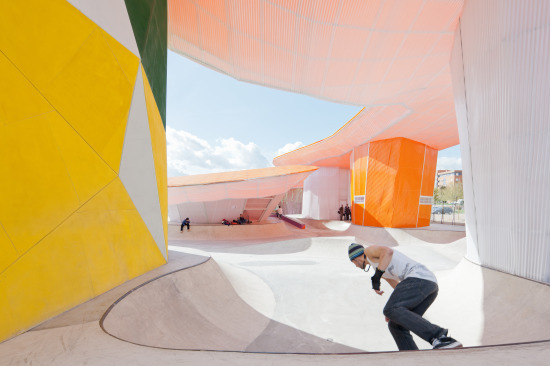 The forum was, in a way, the Madrid-based Foundation's debut. 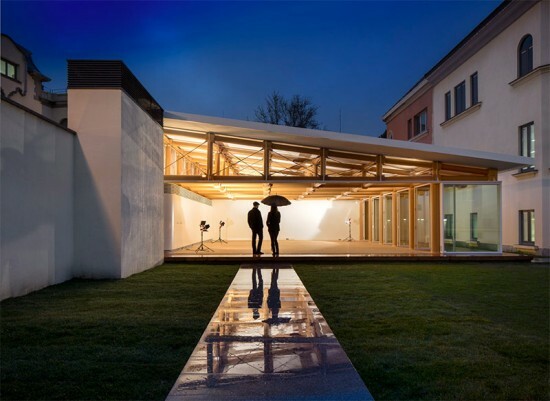 The organization aims to foster innovation and research on the built environment while also implementing real-world projects, such as the Droneport featured at the 2016 Venice Architecture Biennale and slated for construction in Rwanda. The Foundation is inherently interdisciplinary in scope, with its wide-ranging focus extending from architecture to infrastructure, engineering, technology, cities, the arts, and more. “I describe it as questioning traditional hierarchies and adopting a roundtable approach to creativity,” said Foster in a description of the organization. We got a sneak peek of the Norman Foster Foundation's new HQ today, stay tuned for our coverage of the Foundation's inaugural forum tomorrow! The Foundation (which is entirely separate from Foster + Partners) grew out of a series of international traveling scholarships for architects that Foster initiated in 2007. 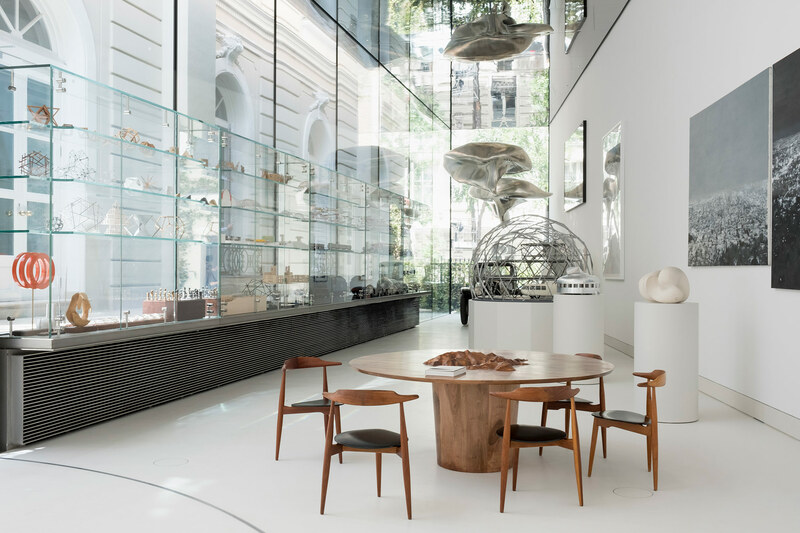 A physical space for the Foundation would not only receive the scholars, but promote its “holistic approach to design” to a wider audience through a range of programming and exhibitions. Those activities will be grounded with the Foundation’s archive of Foster’s work, which includes prototypes, drawings, transcripts, films, photographs, models, and more. Since 2017, more than 74,000 items have been cataloged and more than half those items are already digitized. Eventually, all of them will be available on the publicly accessible online archive. While the Foundation introduced its new headquarters two days ago (AN will follow up on its design when images become available), today was its inaugural Forum, which was split into three sections: Cities, Technology and Design, and Infrastructure. Foster kicked off the forum by describing the challenges the world faces, specifically rapid urbanization, a transportation revolution (such as driverless cars and pedestrianizing cities), and climate change. With a heavy dose of Buckminster Fuller, he emphasized the need for interdisciplinary intervention and holistic design, something the Foundation will do. The first panel (featuring former NYC Mayor Michael Bloomberg, Richard Burdett, Professor of Urban Studies at London School of Economics, architect Maya Lin, and Foster himself) was fairly straightforward, with an emphasis on the benefits of urban density and the inherently democratic nature of cities. The overriding theme was a need for strong political leadership to present grand and compelling visions to tackle urban woes: "Cities in the West have forgotten the power of planning," Foster lamented. 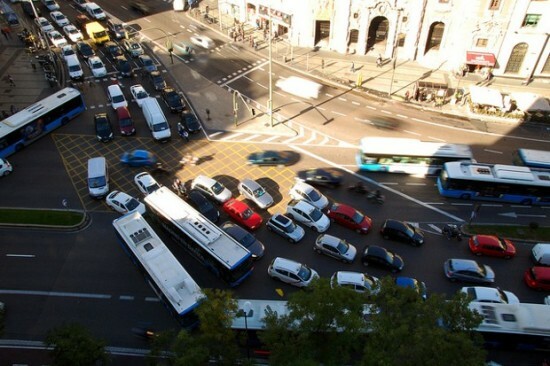 Elon Musk's Hyperloop and Bogotá's highly successful bus rapid transit (BRT) system were also highlighted as examples of successful, radical thinking as well. But it was a comment from former Mayor Bloomberg about technology eliminating jobs that would set the stage for sharp disagreements in the next panel. Matthias Kohler of ETH Zürich showcasing a 3D printed formwork that easily creates curving concrete forms. Seen at the inaugural Norman Foster Foundation forum. The second panel focused on technology and design. It started with a set of striking projects from Professor Matthias Kohler of the Swiss Federal Institute of Technology, which included flying drones constructing a brick tower and robots fabricating a new kind of formwork that allows for curving concrete shapes. Nicholas Negroponte, co-founder of MIT Media Lab, was especially bullish on technology's potential to shape design: "The end of constructing things of components" such as bricks or concrete is coming to an end. Architecture will be "like planting a seed and watching a building grow... additive construction is over." Niall Ferguson, senior fellow at the Hoover Institution, countered that a massive backlash was coming for all this progress: When middle America and Europe figure out that technology is taking their jobs, he said, there will be resistance, even if it's futile. Citing Uber as an especially egregious example, he argued that Silicon Valley sees its inventions and inherently "awesome" and unstoppable, thereby failing to anticipate the reaction of those on the losing side of innovation. Furthermore, Ferguson described how many scientific inventions—from splitting the atom to drones—were frequently turned into weapons of war. His critique was hotly debated by Negroponte, though it succeeded in introducing doubt to the techno-utopian aspects of the Forum's Buckminster Fuller-esque aspirations. Next, Chilean architect Alejandro Aravena delivered the keynote prelude to the final panel on infrastructure. He delivered a more grounded argument about the need for infrastructure to serve multiple roles in the cities. In the face of massive urban inequality, he said, we can't touch income directly but we can strategically design public spaces, transportation, and other urban infrastructure to ameliorate the problem. Examples included using hard infrastructure (e.g. waste treatment) to create new public spaces or platforms for housing, providing opportunities for individuals to be self-sufficient and off the grid, and prioritizing space-efficient transit (such as walking, biking, and buses over cars) in the precious public space of streets. His thoughts were echoed throughout the final panel that followed. Henk Ovink, Special Envoy for International Water Affairs for the Kingdom of the Netherlands and seminal figure in Rebuild By Design, emphasized that infrastructure is a political and cultural challenge as well an engineering one. "We had a water democracy in the 1100s," he said of the Netherlands, which meant the public was always deeply included in the design process. Without a similar process, communities won't understand, own, or accept big infrastructure projects. Also on the panel was Jonathan Ledgard, director of Rossums Group and leader of the Norman Foster Foundation's Droneport project, who sought to counter Ferguson's earlier critique. He cited the Droneport, a hub for commerce and community where drones bring and send away small, high-value goods (such as medicine or mechanical parts) as one example of how low and high technology can mix to benefit the common good. Foster concluded the forum on a historical note. While cars have become the enemies of cities, they were once their saviors, as they eliminated the mountains of horse manure that horse-driven carriages and trucks created. Yesterday's friend can become today's enemy. Still, he said, "the exchanges today give me great hope for the future." The HUB flat in Madrid, designed by Josemaria Churtichaga and Cayetana de la Quadra-Salcedo of Madrid- and Miami-based ch+qs, is a fun house of architectural design as well as an homage to 1970s American artist Gordon Matta-Clark, who studied architecture at Cornell and was famous for taking slices out of abandoned buildings. Churtichaga also teaches architecture at the University of Miami. He designed the HUB flat in 2013 as an upstairs addition to his design for The Hub, a ground-floor incubator, which occupies a former garage, where young entrepreneurs can brainstorm about start-ups. The playful ambiance continues with various wall coverings, including a vintage 1950s turquoise-blue wallpaper with a geometric design, and special black paint that acts as a blackboard surface for drawing and writing. 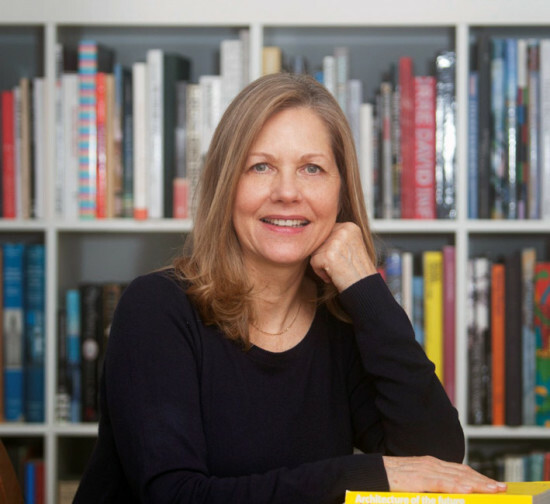 On September 4th, IE University in Madrid announced Martha Thorne as the new Dean of the IE School of Architecture and Design. School leaders anticipate that her knowledge of the international architecture and design worlds will further IE's mission of training forward-thinking designers and architects. Previously, Thorne served as the Executive Director of the Pritzker Prize. From 1996 to 2005, she acted as the Associate Curator in the Department of Architecture at the School of the Art Institute of Chicago (SAIC). Thorne has authored and edited numerous books and articles, including The Pritzker Architecture Prize: The First Twenty Years and Skyscrapers: The New Millennium. Thorne received her Master of City Planning at the University of Pennsylvania and a BA in Urban Affairs from SUNY Buffalo. Pop-Up Forgiveness. With Spain in the midst of an austerity plan, the NY Times reported that Madrid and the Catholic Church have spent $72 million for festivities centered around the visit of Pope Benedict XVI, which has drawn criticism from many in the city. 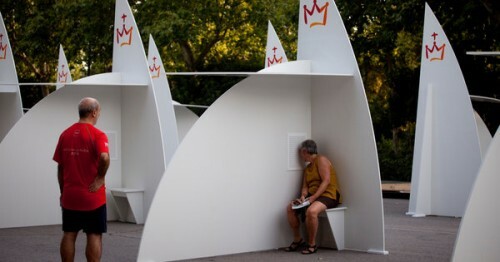 Among the improvements lavished upon Madrid are 200 pop-up confessional booths in Retiro Park. Perhaps city leaders doling out funds will be among those in line at the booths. Reminder! Tomorrow, Wednesday August 17th, the International Center of Photography will hold a panel discussion in conjunction with the exhibition Hiroshima: Ground Zero 1945. The discussion will feature authors Erin Barnett, Adam Harrison Levy, and Greg Mitchell who will speak about the exhibition's compelling photographs of post-bomb Hiroshima along with a discussion of censorship and documentation of the the attack. Fresh Jobs. Data from a USDA report released last week indicated that farmers markets are on the rise in the United States. The report counted 7,175 markets, a 17 percent increase since last year. States with the largest growth were Colorado, Alaska, and Texas, representing a robust local and regional food system. Grist and GOOD broke down the report. Where's the Map? Transportation Nation asks, Where’s the Amtrak map at Penn Station? It seems as though travelers are missing out on the opportunity to visually place their train journeys. As journalist Mark Ovenden said,“maps are part of the journey, and we shouldn’t forget that." You can ask for a paper fold-out version, which pales in comparison as its streaking red lines give little real indication of the train's path.